We’re proud to be joined by the Universities of Sunderland and Suffolk at the PC Gamer Weekender, both of which will be there to give you all the information you could ever want about tackling an undergraduate computer course at their institutions. Both universities will have people on hand to answer your questions, advise you in your path of learning and offer first-hand accounts of what the study of games and gaming can be like. More information on Sunderland University can be found on the institution’s site or on its Facebook page, and you can follow the uni on Twitter if meme-based education is your jam. You can also find out more about the University of Suffolk’s games courses both on its website proper and via its (more specific) Facebook page. 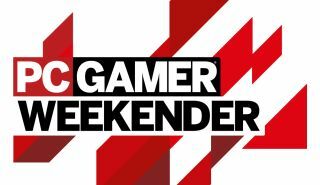 As well as a good chunk of learning, you’ll be able to see many more speakers, games and booths all at the PC Gamer Weekender, which is being held February 17-18 at the Olympia, London, in the UK. For more details see the site, and follow us on Twitter for up-to-the-minute news. Tickets are available now from £12.99. Use the code chr1stm4s to knock 20 percent off tickets before January 5.